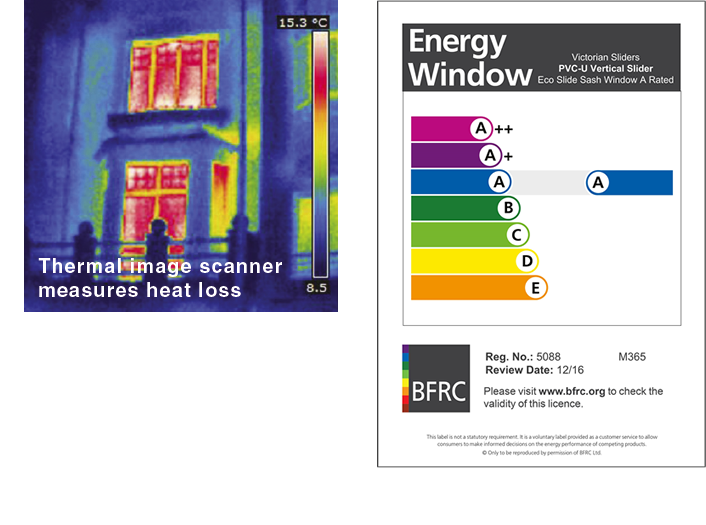 Making Us The Most Cost Effective Victorian UPC Windows Around! same stylish features found on original timber sash windows such as Astragal glazing bars, decorative sash horns and traditional-style operating hardware. The jambs, sash sections and meeting rail are all engineered to look just like an original timber sash window. Low maintenance Victorian PVC-U sash windows only require a quick wipe down with a damp cloth to keep them looking as good as new. 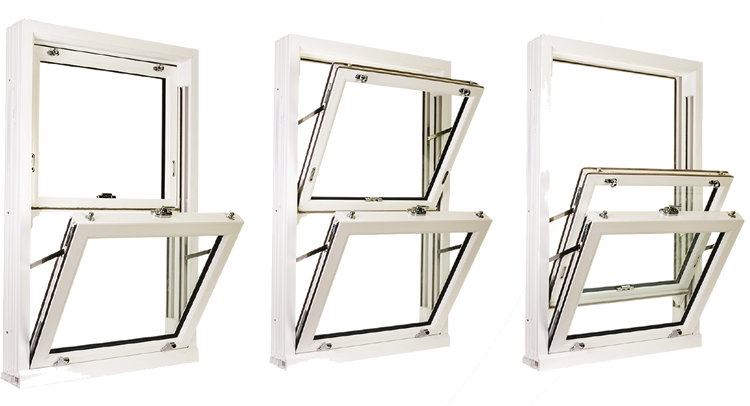 The window sashes feature an inward opening tilt facility to allow easy and safe cleaning of the outside frame and glass from inside the building. This is particularly useful for second storey windows or windows positioned in hard to reach places, such as above a conservatory. We also offer colour outside / White inside options in Chartwell Green, Anthracite Grey, Rosewood, Black Brown, Cream, Golden Oak and Irish Oak. This option provides homeowners with customer choice for characterful external colours, whilst maintaining a White interior to better suit internal decoration schemes. Colours shown are a guide only –please see a foil colour swatch prior to placing an order. Victorian Sash PVC-U sash windows to be spray painted to match virtually any RAL code or colour. This facility allows you to personalise the vertical sash windows and colour co-ordinate them to match the property or suit a homeowner customer’s specific requirements. 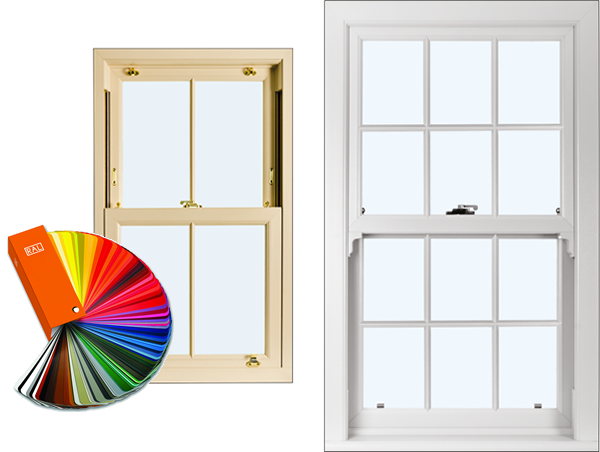 Our optional spray painted finish is applied to the highest standards and will provide a unique and colourful sash window project solution. Victorian vertical sliding sash windows feature insulated glass units with toughened glass in both top and bottom sashes, for enhanced safety and security. Victorian PVC-U sash windows feature traditionally-styled vertical slider hardware. 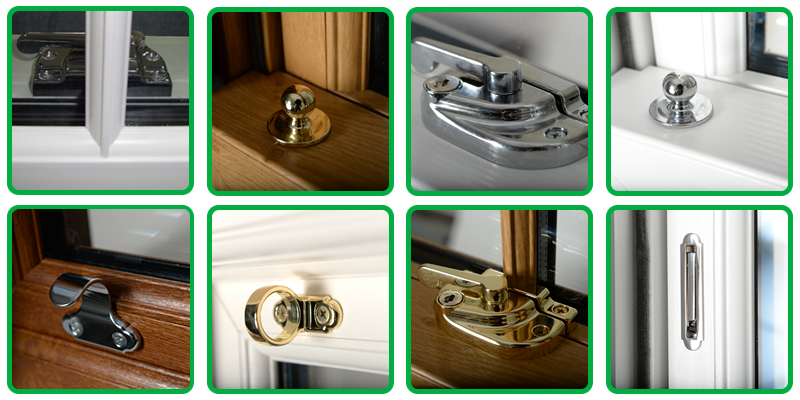 Pole eyes, tilt knobs, sash lifts, sash locks and travel restrictors are ﬁtted as standard, but we can also offer D handles if needed. 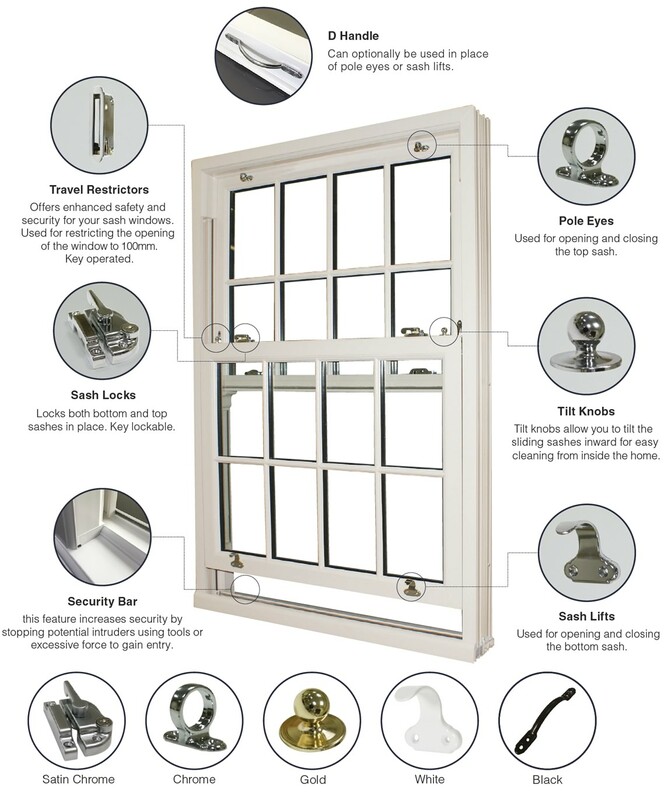 All hardware is available in Chrome, Gold, White, Black or Satin Chrome to complement our range of sash window frame colours. The window has achieved an A-Rating which is supplied as standard. The figures achieved indicate that the tested Weather Performance Rating for our ECOSlide vertical sliding sash window will meet “Severe” weather conditions. Contact Us Today! Just fill in the form Below.